Everybody knows what a smartphone is, right? A slabby thing which is basically a screen and maybe a couple of buttons on one side, and nothing much on the back other than a camera. 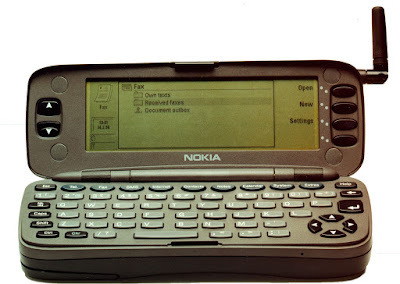 But the vision of manufacturers twenty years ago was somewhat different, and the Nokia 9000 Communicator was an example of just how different these things were. 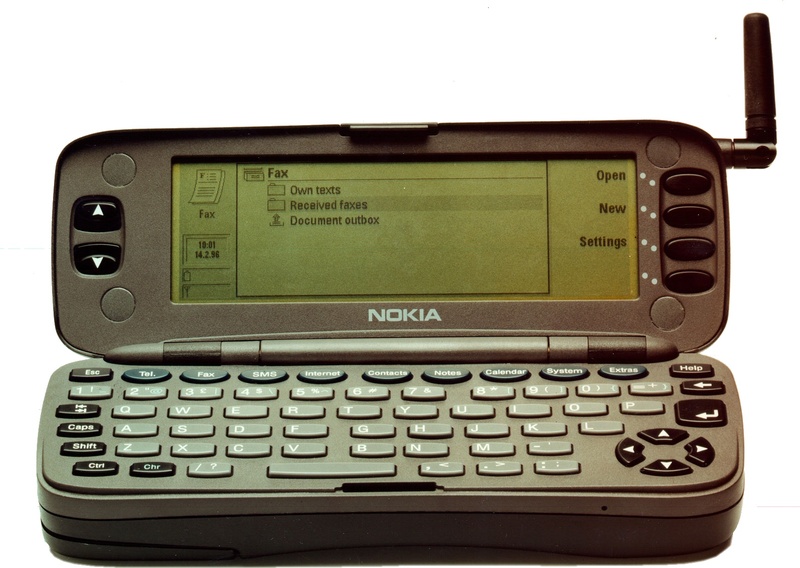 Originally announced in March 1996, the 9000 was a massive device even by the standards of the late 1990s. Weighing a shade under 400 grams or 14 ounces, the Communicator looked like an oversized conventional phone from the outside, but it opened up to reveal a 4.5" 640 x 200 pixel grayscale display and a full QWERTY keyboard. All the Communicator series phones had a tendency to be on the large size, giving them a nickname of "The Brick". Underneath, the 9000 is even more strange to modern eyes. Inside is a 24MHz i386 processor with 8MB of flash storage, running the GEOS operating system. Despite being called a "Communicator", the options were strictly limited as it lacked any kind of packet data and had to rely on dial-up networking for email or very basic web browsing. There was a Telnet client and some personal information management tools, and one useful feature for any 1990s executive was the fact that the 9000 could send and receive faxes. 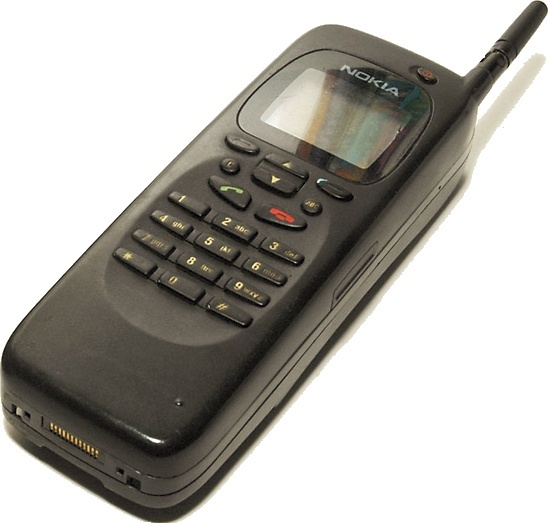 Various versions of the 9000 rolled out out in the next two years, making it a niche success against more mainstream rivals such as the Motorola StarTAC. In 1998, Nokia announced the much more compact 9110 Communicator and continued a line of phones that ended in 2007 with the Nokia E90. Launched more than a decade before the iPhone defined the modern idea of a smartphone, the Communicator series was ultimately a dead end.. but it did show industry watchers that a mobile phone could offer features that rivalled full-blown computers. Thankfully though, we don't have to lug around a 400 gram brick these days..